At the office of Bill A. Grays, DDS, we offer cosmetic dental services to improve the patient’s appearance. Our Sherman dentist uses enhancement treatments to restore teeth, whether for patients suffering from discoloration or tooth loss. Dr. Bill A. Gray’s personable approach to providing effective dental care ensures the patient’s comfort. Our dental team prides ourselves on creating a welcoming environment while offering comprehensive cosmetic services. If your tooth suffers from a minor cavity caused by tooth decay or damage such as chips and fractures, composite fillings and bonding may be used to restore the tooth. Fabricated from composite resin this treatment repairs the tooth without detracting from the rest of the smile. Bonding can also be used to lengthen uneven teeth and create a uniform appearance. These procedures typically only take one appointment. If you have discolorations on the surface of your enamel, teeth whitening treatment may be the solution you need. Our Sherman practice provides an at-home teeth brightening kit that allows patients to improve their teeth’s appearance by multiple shades in the convenience of their own home. The trays given to you by our dentist are custom made for the unique contours of your teeth to distribute the bleaching agent evenly and provide you an unvarying outcome. 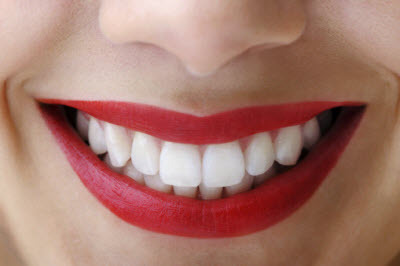 If teeth suffer from imperfections such as minor chips, cracks, fractures, or internal stains, veneers are thin shells bonded to the surface of teeth to conceal flaws. At the office of Bill A. Gray, DDS, we provide patients the option of prep and no-prep veneers to enhance their smile’s beauty. No-prep veneers are the ideal solution for patients with thinner or small teeth to provide a tooth with more volume. Traditional veneers, though they require some alteration to the tooth, are a conservative solution to mask various types of cosmetic shortcomings, while remaining minimally invasive. The tooth replacements options available at our office range from single unit crowns to dentures depending on your dental needs. For those who wish to comprehensively restore their missing teeth, our dentist offers implant-supported restorations to replace a tooth from root to crown. If you have any questions about the cosmetic dental services we offer or would like to know which ones benefit your smile’s aesthetic, contact the office of Bill A. Gray, DDS. Our Sherman dentist does all he can to ensure you leave your appointments with a boost of confidence and an improved appearance.